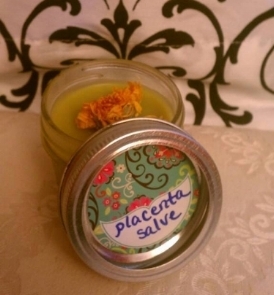 I offer 3 methods of placenta encapsulation for both my doula clients and for women with other doula or no doula support. A placenta tincture has the same benefits as capsules, but will last forever if you continue refilling it. Placenta Truffles help balance postpartum hormones while satisfying your chocolate cravings! Mother tea consists of the leftover broth and herbal liquid after steaming the placenta. This infused remedy and its restorative powers is often overlooked. It has the same benefits as placenta capsules. Small amounts can be added to smoothies, tea, soups, etc. Needs to be consumed within 7 days or frozen up to 6 months. $20 (only available with traditional Chinese inspired capsules or half and half).